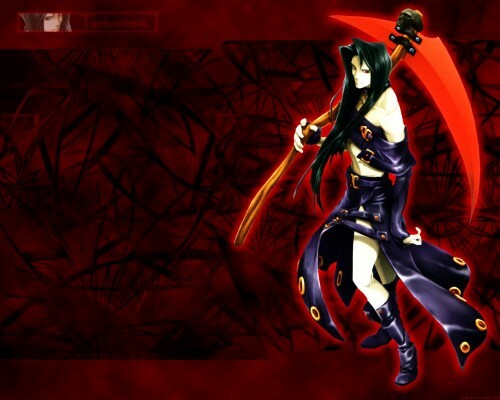 Guilty Gear Wallpaper: . Testament . Minitokyo »	Guilty Gear Wallpapers » Guilty Gear Wallpaper: . Testament . Say hello to my new obsession - Guilty Gear! :) Ever since I bought that game about four days ago, I've become basically inseparable from my computer, except for those brief periods of time when I do other unimportant things, like eating and sleeping. Good job Odeena. You clean very good the scan and the background match perfect with the character. Great wall. Ooo. Nice wall XD I haven't been around in a bit, so how've you been? Good wall and good choice, testament is the best and the more strong caracter of guilty gear!